Ryan Pratt is an analytical digital marketer responsible for innovative marketing & creative content at multiple small businesses and websites. He is a typical millennial who wears flip-flops to work and is always multitasking. Beyond his full-time job as the Marketing Director at MBA Focus, Ryan is also the VP Marketing and minority owner of ListAfterList.com, a blogger at Multitasking Millennial™, an award-winning marketer, and an online marketing consultant for hire. In his free time, Ryan is also an over-indulgent technophile and Star Wars-loving cinephile. He was even the national movie critic at Examiner.com. Though no longer writing his "See-it, Rent-it, Skip-it" column, Ryan continues to express his opinions on films through his blog and social networks. For more information about Ryan, click here. As the Vice President of Marketing & Research at GradLeaders, Ryan holds the primary responsibility for the execution and delivery of a wide variety of strategic and integrated marketing campaigns and materials. His innovative B2B marketing plans and creative Web 2.o ideas have helped GradLeaders become an exclusive online network where the world's top employers and job-seeking students connect. Today, Ryan develops business strategy in conjunction with the CEO and manages a marketing team of designers, specialists and consultants. His team's campaigns have already exceeded expectations, resulting in a 52% growth in website traffic, doubled lead generation, and 6% increase in sales. 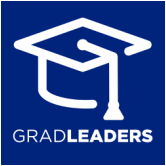 For more information about GradLeaders, click here. 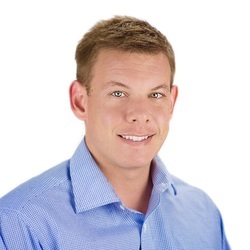 Ryan gained invaluable entrepreneurial experience with the rapidly growing startup ListAfterList.com. As the VP of Marketing and minority owner, Ryan implemented business plans that drove website traffic from 0 to 3 million visitors annually and was a major reason for the 2008, 2009, and 2010 TechColumbus Innovation Awards “Outstanding Product” nominations. He is still the site's top-rated and most-active lister. 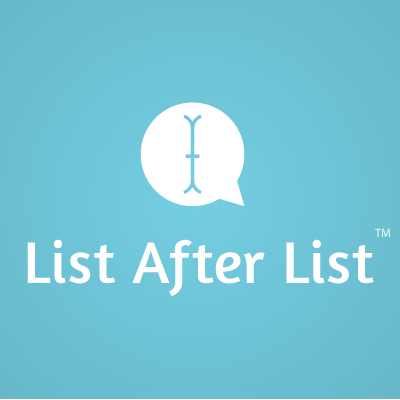 Today, Ryan is working with the team at ListAfterList to launch an entirely redesigned and re-imagined ListAfterList 2.0 -- with more social and content creation features than ever before! For more information about ListAfterList, click here. Ryan has been recognized for multiple awards and was an American Business Awards finalist for Marketer of the Year in 2013. He is a creative and an innovator. Ryan has a specialized background in marketing and content. He graduated from The Ohio State University in 2007 with a Bachelor of Arts in Journalism and strong background in Fine Arts (Architecture, Art History, Cinema). Today, Ryan serves as a marketing consultant for small businesses, providing social media, SEO, and content strategy recommendations to complement their online presence. For more information about his marketing experience, click here. Ryan has always been an innovative, early adopter. He joined Facebook in 2005 and Twitter in 2007. Since then, he's joined and grown his network on almost every social media platform that exists. 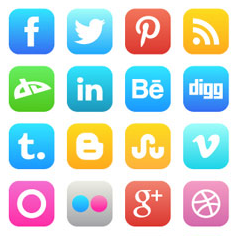 Today, Ryan is responsible for more than 250 different social media accounts with more than 100,000 fans and followers. He's grown Twitter accounts from 0 to 20,000 followers; Facebook pages from 0 to 50,000 likes; and YouTube channels from 0 to 35,000 views. Ryan has also developed and managed multiple websites and blogs, driving traffic, sales and leads organically by the thousands. Ryan's content has been read by more than 10 million people around the world. For more information about his consulting services, click here.